All of our Music Together®, Yoga, Workshops and Events are listed on this page. When you find the class, workshop or event you want, click the Register link next to the class to be redirected to the registration form. Questions or need assistance? Give us a call at 813-409-4244 or contact us online. 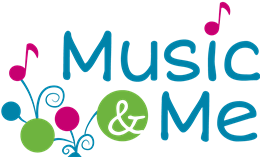 We are currently registering for the Spring 2019 session of Music Together®. The Spring 2019 session is 10-weeks and will feature the Tambourine Collection. Explore the available Babies, Mixed Age, Masters, and Rhythm Kids classes below to find one that works for your family! To register: When multiple sessions are available for registration, there will be a separate tab for each session. The active tab has a white background and the inactive tabs have a light green background. Click on a tab to see the classes for that session. Use the filters below the tabs if you only want to see classes of a certain type or at a certain location. When you find the class you want, click the Register link next to the class to be redirected to the registration form. Prentatal Yoga is offered all the time on Tuesday evenings from 6:30 to 8:00 pm. Purchase packs of 2, 3, or 4 classes as needed in our store. When you purchase your yoga class pack, you will be asked to enter the dates you plan to attend. Family Yoga is offered on the same schedule as our Music Together classes. For Family Yoga, register at any time during a session and pay only for the classes remaining in that session. Copyright © 2019 Music & Me, LLC. All rights reserved. Photography of Music & Me studio and classes graciously provided by SKP, Sheri Kendrick Photography.